How to watch Star Wars: Episode III: Revenge of the Sith (2005) on Netflix Australia! Sorry, Star Wars: Episode III: Revenge of the Sith is not available on Australian Netflix, but you can unlock it right now in Australia and start watching! With a few simple steps you can change your Netflix region to a country like Panama and start watching Panamanian Netflix, which includes Star Wars: Episode III: Revenge of the Sith. We'll keep checking Netflix Australia for Star Wars: Episode III: Revenge of the Sith, and this page will be updated with any changes. Star Wars: Episode III: Revenge of the Sith is not available in Australia BUT it can be unlocked and viewed! Gen. Grievous leads the Confederacy in a battle against the Republic, while Darth Sidious attempts to lure war-weary Anakin to the dark side. A dark lord steps out of the shadows. The fate of the galaxy hangs in the balance. It's time for the ultimate test. There is a way to watch Star Wars: Episode III: Revenge of the Sith in Australia, even though it isn't currently available on Netflix locally. What you need is a system that lets you change your Netflix country. 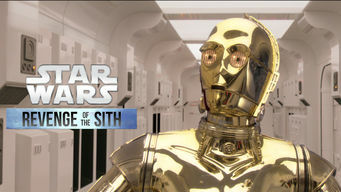 With a few simple steps you can be watching Star Wars: Episode III: Revenge of the Sith and thousands of other titles! Watch "Star Wars: Episode III: Revenge of the Sith"